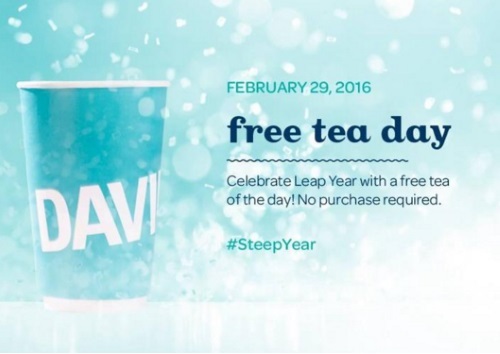 This year is a leap year and David's Tea wants to celebrate by offering a Freebie! Get a Free Tea of the Day on Leap Day this Monday, February 29, 2016. No purchase is needed just come in and ask for the freebie! Click here to find a David's Tea near you.